Artistic Jeweled Menorah - Floral blue tones and Gold plating. A very unique and heartwarming style featuring a floral theme. 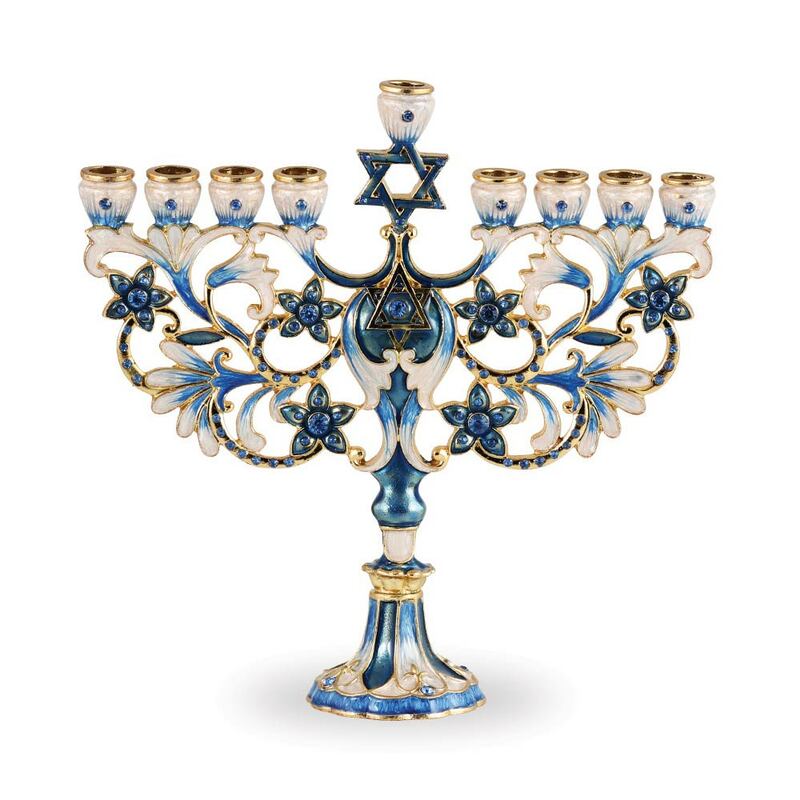 This Menorah is hand painted with rich color enamel and set with colored crystals. Comes gift boxed. WOW! BLACK FRIDAY DEAL 18% OFF!